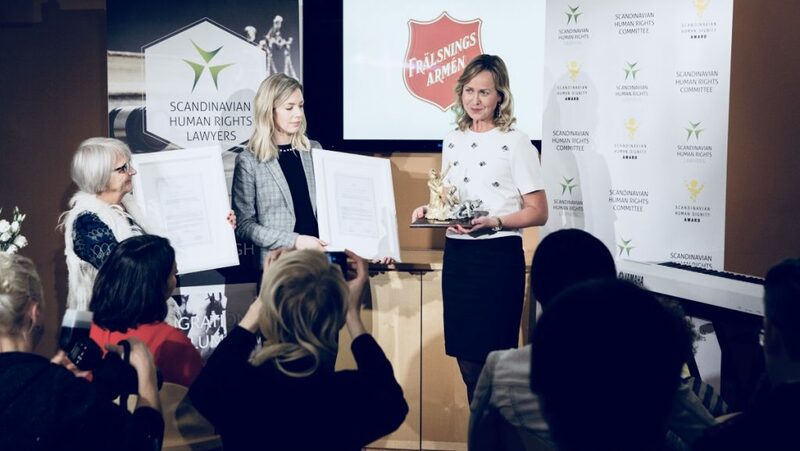 On November 22, the Scandinavian Human Rights Lawyers and the Scandinavian Human Rights Committee awarded the Swedish Salvation Army with the Scandinavian Human Dignity Award. The award was given to the managers of the Salvation Army’s sheltered housing for women exposed to trafficking, abuse and exploitation. The award ceremony took place in the Salvation Army’s headquarters in Stockholm, with the presence of women and children living in the shelters of the Salvation Army. 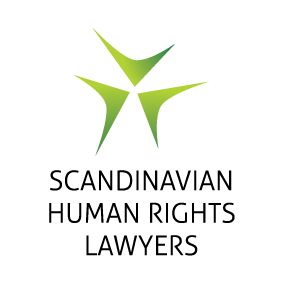 – In recent years, Scandinavian Human Rights Lawyers have collaborated with the shelters of the Salvation Army and closely monitored how the practical relief efforts contribute to the protection, support and restoration of some of the society’s most vulnerable. The Salvation Army also works with preventive efforts by spreading information and raising awareness about the issue and has developed a very good educational material. They also conduct outreach activities, which is very important, as many victims of trafficking do not dare to report the crimes they have been exposed to, the police. 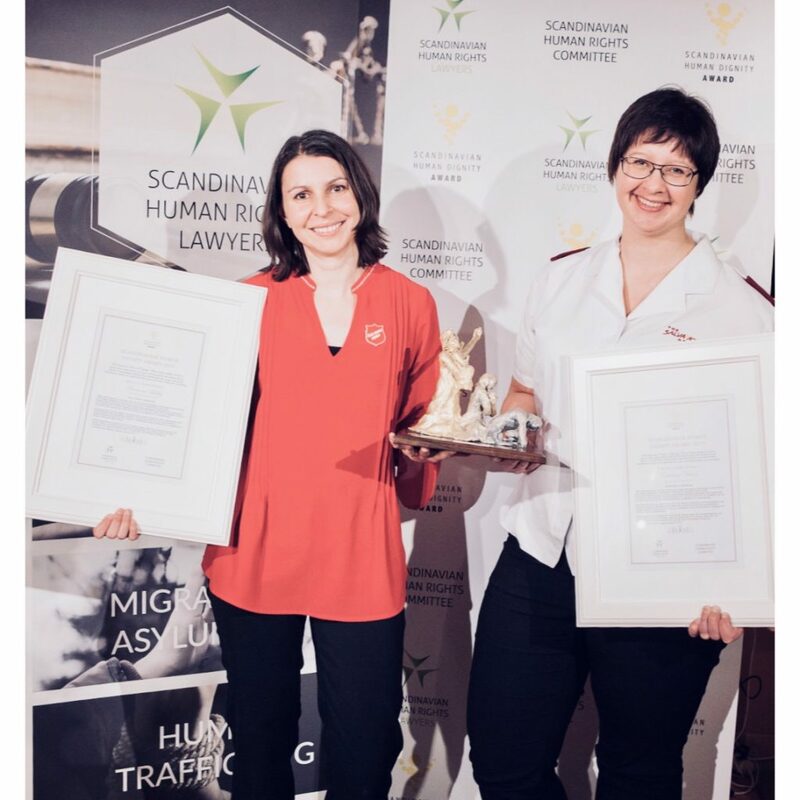 We are very pleased about the cooperation with the Salvation Army and to be able to award the managers of the shelters for victims of human trafficking with the Scandinavian Human Dignity Award 2017, said Ruth Nordström, Senior Legal Counsel and Chairman of the Scandinavian Human Rights Committee. – The Salvation Army comes into contact with human trafficking daily through its extensive social work and through a national support program, the vulnerable victims of trafficking and violence and their families are accommodated in housing. Trafficking in human beings is the slavery of our time and constitute serious violations of a number of human rights, where women and children are particularly vulnerable victims. The Salvation Army’s efforts to protect vulnerable victims of trafficking in human beings and to strengthen their hope and belief in the future, give them confidence and promote their rights and freedoms, are highly honorable, said Rebecca Ahlstrand, lawyer and member of the Scandinavian Human Rights Committee. -In my work to help the prostitutes on Malmskillnadsgatan, I meet the vulnerable of society, and I have been exposed to sexual abuse and sold to prostitution myself. When I received the prize in 2013, I was deeply moved to see the statue, which showed a broken man who rises to his full human dignity. I felt it was my life that was symbolized. The Salvation Army’s work, which is unique, is based on the value of all human beings. 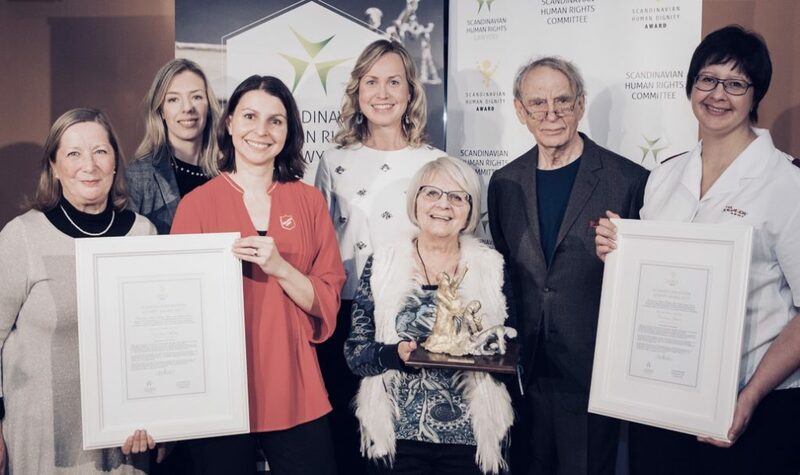 The Scandinavian Human Dignity Award symbolizes their work to give people an established human worth, said Elise Lindqvist, member of the Scandinavian Human Rights Committée. Members of the Scandinavian Human Rights Committee are: Senior Legal Counsel, Ruth Nordström, President, Professor Reinhold Fahlbeck, Professor Kjell O Leijon, Elise Lindqvist, the “Angel in Malmskillnadsgatan” (the prostitution street of Stockholm), Johan Rudén, Education Advisor, Rebecca Ahlstrand, Lawyer, and Marianne Lidskog, Deacon and former Diplomat. The 2016 winner of prize was Dr. Denis Mukwege, chief physician at Panzis Hospital in east DR Congo, where tens of thousands of women and children, exposed to sexual violence, have received care. Dr. Mukwege is world-renowned for his work for raped and sexually abused women and he has challenged both the UN and the international community and has become a spokesperson for war victims in Congo.